First-year scholarships are based on merit, composite ACT score and high school grade point average (GPA). Merit awards made to full-time, first-time freshmen are renewable for up to four years for students who maintain full-time status and the required renewable GWC GPA for each scholarship level. Transfer students are eligible for merit awards based on their cumulative transfer GPA from all previous institutions attended. Merit awards are renewable for up to three years for full-time, transfer students who maintain the required renewable GWC GPA at each scholarship level. *** An additional scholarship of $1,500 will be awarded for Alpha Beta Gamma and Psi Beta and/or $2,000 will be awarded for Phi Theta Kappa members who have a cumulative transfer GPA of 3.0 or higher from all institutions attended. 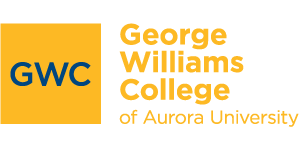 You must be an active member prior to your enrollment at George Williams College of Aurora University. Your membership will be verified from your official transcript(s) or Alpha Beta Gamma, Psi Beta and/or Phi Theta Kappa certificate. Alpha Beta Gamma and Psi Beta members must also provide a letter of recommendation from their faculty advisor. 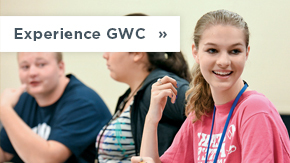 These scholarships are renewable up to three years for full-time, transfer students who maintain a 3.0 GPA or higher at GWC. Awarded to a high school senior who graduates from a private or public high school in the Geneva Lake community, including Big Foot, Badger, Williams Bay or Faith Christian high schools, or an area student that attended a different school or state-accredited means of secondary education. Student must focus on one of the college’s environmental majors, including environmental science (sustainability). 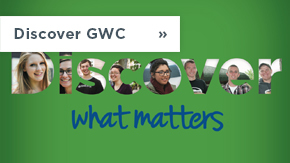 The recipient must be accepted into GWC as a full-time freshman (at least 12 semester hours). Awarded to undergraduate students who have an immediate family member enrolled concurrently at Aurora University or George Williams College. Please note: This discount does not apply to adult degree completion and graduate student accounts. It also does not apply if you are pursuing a second bachelor's degree. 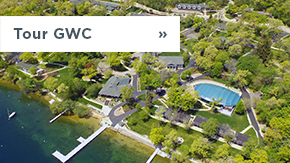 To find out more information on these scholarships or to begin the application process, contact the Office of Admission at 262-245-8564 or gwcadmission@aurora.edu.